Published in America in November 2018. Lucas Turner is an ordinary teenager with an extraordinary genetic mutation: the cure for cancer rests in his body. When his father discovers that the only way to harvest the cure will result in the death of his son, he kidnaps him from the hospital, setting off a calamity of events from which there is no turning back. Meanwhile, the doctor, intent on a cure at any cost, hires a female bounty hunter to bring the boy back by any means. She's never failed before and doesn't intend to fail now. While on the run, the estranged father and son build a relationship on the road that brings them closer to the mistakes of the past and the consequences of the future. 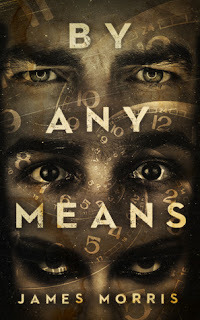 By Any Means is a literary thriller, and at its core is about a relationship between a father and son against all odds. The remedy, after all, may be less about science and more the human heart. 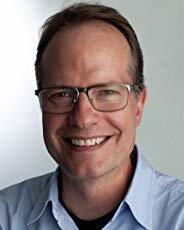 It was dawn when they entered the city after climbing circuitous mountain roads, and Keith was thankful in the dark not to have seen the drop-offs near the road’s edge. He wondered how many people succumbed to the small voice in their heads that enticed them to jump. The elevation was higher here, and he felt it in his lungs. That’s what smoking would do to you. He had to stop at five different gas stations before he found someone who’d let him use a phone. Cell phones, it seemed, had killed the payphone. Keith dialed 411 and got Grace’s home address, and then directions from a helpful customer. The last thing he asked, “What day is it?” earned him a strange look before he got his answer: Saturday. Grace lived in a bungalow surrounded by pine trees and a small yard. Not the best neighborhood, but not the worst, either. An economy car was parked in her driveway. He looked for any signs of a family; he didn’t remember if she lived alone and was relieved when he scanned her car to see there wasn’t one of those decals of a happy stick figure family on the back window. Lucas didn’t argue, only giving him a “whatever” look. But it was still too long. He motioned for Lucas to follow him as he got out of the car and they approached the door. Of that, Keith had no doubt. His hand hovered over the doorbell. And he pressed the button. Open internationally until the 31st January. It is my first time in your blog. 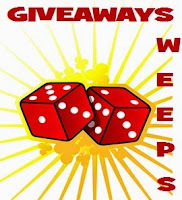 What are these giveaways? 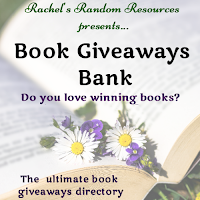 Are you giving away? What an interesting premise! I will have to keep an eye out for this one. Thanks for sharing! Oh man, that is a tough situation for a parent and the child. I feel like this one could even actually happen, especially with how cancer is really affecting a lot of people and families. I think at some point we all might get desperate like this and go to extreme lengths!